I like cooking with fire. It's a great use of carbon! Others may choose to feel guilty, but I just enjoy the flavor. 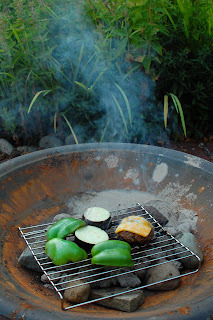 Green peppers, eggplant, and burgers go well together.